Disney Historian Jim Korkis just finished interviewing Rock Hall for a future installment of WALT'S PEOPLE. Hall was an Imagineer for several years in the early Eighties and after the completion of the New Fantasyland, he was one of the many Imagineers who were laid off. Hall went on to found Technifex, a company that created special effects (visual illusions, 4-D theater effects, lighting, water, fire effects) for theme parks, water parks, casinos, trade shows, retail centers and many other industries and events. Technifex has won numerous awards for their contributions to Star Trek: The Experience, Revenge of the Mummy, Titanic: the Experience, Tomb Raider: the Ride, Disney Quest, Terminator 2: 3D, General Motors Epcot Test Track, Journey to Atlantis and enough other credits to fill pages and pages including working on several Disney theme park projects like the new Sleeping Beauty Castle Walk Through and the Adventurers Club at Pleasure Island. "Yale was a sweet mild mannered guy, polite and respectful at all times. He worked at a very meticulous pace, setting up his illusions with everything done to a precise level. He got a real kick out of illusions that were done with the unique use of optics. Parabolic mirrors, Pepper’s Ghost type effects, sculpture and lighting tricks, you name it. Delicate effects such as Blue Bayou fire flies were a specialty of his. He constantly complained that the replacements were never done according to the original design and every time someone tried to improve on them they fouled their performance in one way or another. Yale could show you the right way to build a fire fly like no one else could. He always said that the best effects were simple effects. Like finding out that a sculpted face when vacuum formed and viewed from the back seems to follow you. This was an accidental development that Yale discovered and ending up using in the hallway at the Haunted Mansion. 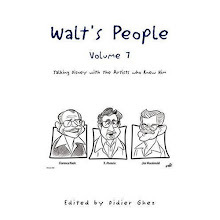 "He talked a lot about Walt and the way it used to be. 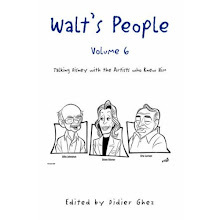 Walt gave the people he trusted carte blanche to create and design using their own unique ideas to help his visions come true, it was great back in those days, every day became fun and rewarding. 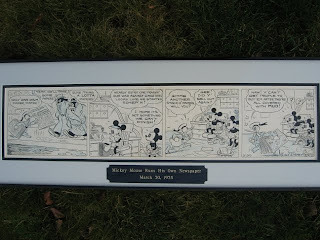 He also talked a lot about a book the Walt gave him in which many of his co-workers had signed and decorated. 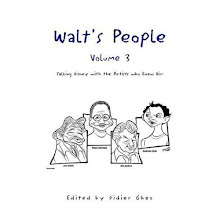 As you might imagine every animator left his mark in Yale’s book. He showed everyone this book and was so proud of it. I believe this was one of his favorite things. Unfortunately I seem to remember that this was stolen from him and never recovered. This would be a very valuable book and absolutely crushed him. 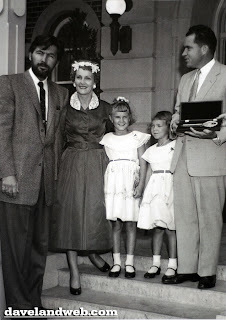 "One other story that I just recalled a few days ago the Yale told me about Walt. 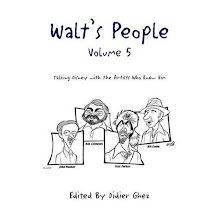 This was another one of Yale’s stories; he was telling me a very funny story about how Walt was trying to learn how to properly sign his signature. Of course this was designed for him by a team of Disney artists. I guess he was complaining about how difficult it was to follow their designs. Yale said he never quite mastered the signature. The one thing that was a carry over from his real signature was the dot on top of the “i”. Now mind you this was after Yale had two martinis at lunch. Yale always had his martini lunches, it was his tradition. "The last thing I remember him working on was a parabolic reflection of a humming bird sipping from a flower. This created a virtual image out in space, he was great with these types of effects." 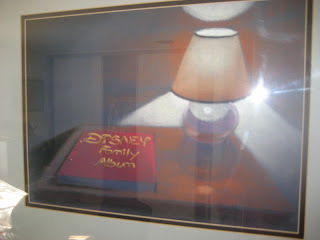 [The original concept drawing of the opening for the Disney Channel series Disney Family Album by John Lasseter in 1984. It is framed and hanging in the office of Mike Bonifer who was the co-producer of the series. Lasseter became involved with the projects because he was friends with the co-producers Cardon Walker (son of Card Walker) and Mike Bonifer. They had a shoestring budget and had to call in favors from friends, like John Debney who composed the music for the show. This was of the last projects Lasseter did before moving to Lucasfilm’s Industrial Light and Magic (for a month that became six months and then later a career when the department was purchased by Steven Jobs and renamed Pixar) was the title sequence for Disney Family Album. 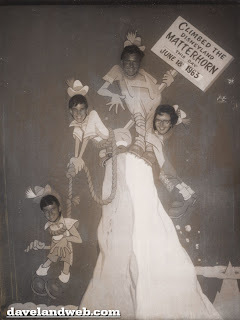 - Disney Historian Jim Korkis gives an audio tour to author Lou Mongello of Mickey's Toontown Fair area at Magic Kingdom at Walt Disney World that is soon to be torn down because of the expansion of Fantasyland. As promised, here is one more photo of Eddie Davis, this time receiving his "Mousecar". As promised, here is another photo from Eddie Davis. If I am not mistaken, the Lady and the Tramp plush dolls were manufactured by Lars of Italy. 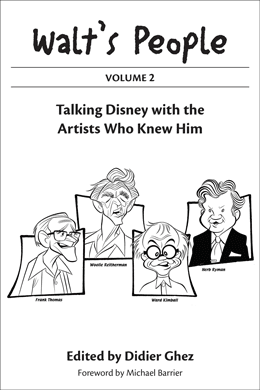 Greg Ehrbar, James D. Marks and I have been working on and off for the past 2 years on the autobiography of the late Jimmy Johnson (head for several decades of the Walt Disney Music Company), our goal being to see it released in book format at some point in 2011. 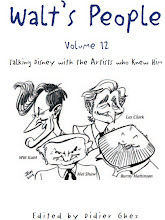 Since Johnson had the opportunity to work with most of Disney's offices overseas, reading his autobiography introduced us to several Disney "characters" based abroad and who were instrumental in building the company outside of the US. Some of those executives (like Cyril James, for example) have been named Disney Legends in 1997, others are still mostly unknown. 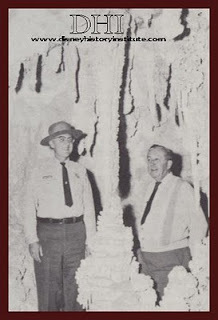 I had the pleasure of being in touch with the family of Eddie Davis, who sent me various photographs of Eddie with Walt, Roy and a few others that I will be posting on the blog this week (in the above photo, Eddie is at the far right). 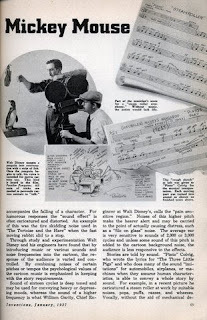 [The Disney London office was run in those days by two men: Eddie Davis, who was in charge of merchandising and publishing, and Cyril James, who headed up everything else. Cyril was Roy’s eyes and ears in England and Europe. Apparently Davis joined Disney in 1933, became Advertising Manager Film Trade in 1936 and Assistant Manager Cinematograph Trade in 1936/37. 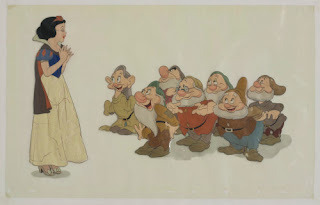 In the '40s he was in charge of Merchandising for the UK, then (after 1947) became Managing Director of Walt Disney Productions for the UK and Europe. I updated the Disney Books Network this weekend. The exhibit is going to be displayed at Villa Fridheim - an adventure story museum - all summer, before being sent around Norway, to begin with. If you take a look at Tayo Fatunla's blog, you'll get an idea what we have been working on. I still don't know if the autobiography of Roy Williams exists. While investigating the matter however, I realized that there is a third book that was definitely written by Roy Williams and that I forgot to mention on Monday. It's named Vaporisms and is a selection of aphorisms by Roy about death. Circulation: 50 copies. 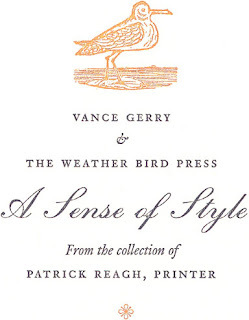 What makes book interesting is that it was released by a company started by Disney story artists Vance Gerry, called The Weather Bird Press. While investigating that lead, I stumbled about a good interview with Vance Gerry that some of you will enjoy. 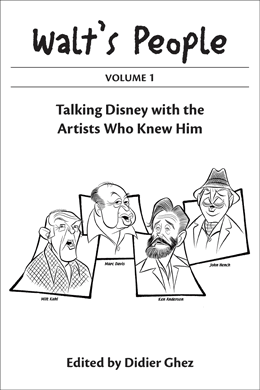 Did you realize that aside from a book by Roy Williams, Vance also released books by Disney artists Tony Rizzo and Walt Stanchfield? This came as news to me. 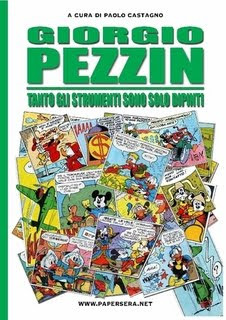 If you speak Italian and love Disney comics, you should probably not miss this book. Didier Ghez: Who is the author of the book? 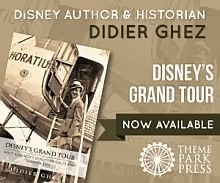 DG: A great book about WDI was already released in 1996. Why did you decide to work on a new book on the subject? DG: Could you tell us about the genesis of this specific book? 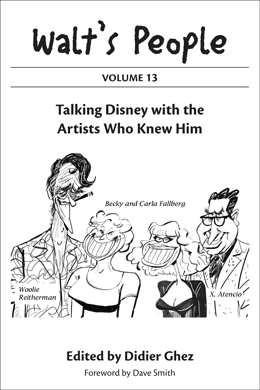 Melody Malmberg: Marty and Kevin Rafferty (the key writer on Book I) started bugging Disney Editions several years ago about doing a new Imagineering book, for the reasons cited above. However, there were so many park-related books already in the pipeline (Disneyland’s 50 anniversary publications, WDW picture book, Walt Disney’s Imagineering Legends, four Imagineering Field Guides, etc) so it was planned for a bit later on. When Tom Schumacher’s wonderful book, How Does The Show Go On? hit the bookstores, Marty really began pushing Disney Editions (especially about including some “special features” in the book). 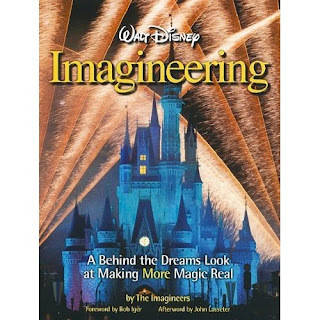 When Disney Editions put the new Imagineering book on its schedule, Kevin was too busy with park projects to work on it … Randy Webster had moved to Florida, and of course, David Mumford and Bruce Gordon had passed away. 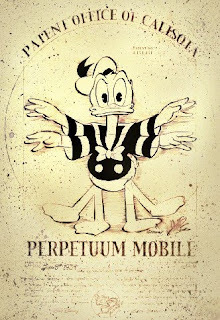 So a new collaboration was established, with me as writer, Marty as advisor, first Jody Revenson and then Wendy Lefkon as publication quarterback, Welcome (again) as designers, and the Imagineering IRC/Art Morgue staff as “finders of art/photos”. It turned out to be a great team! DG: What are the main chapters of the book? 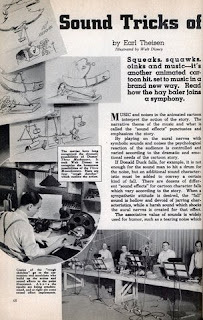 MM: Theory – the basic theories which have been developed over time that lie behind Imagineering’s creations; how and what Imagineers think about every day. Tools – What Imagineers use to visualize, design, manufacture and build. Portfolio – Highlighting specific projects since 1995, and talking about general ideas like updating, adapting, and translating, which are increasingly important as the parks become global. 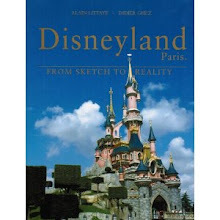 While not a “how to” manual, this book gives insight into how Imagineers work, and how they approach their work. The international focus, thanks to the Walt Disney Comapny’s worldwide expansion over the last 15 years, is new. We cover every park in case you have not purchased your round-the-world plane ticket yet. How to Think Like an Imagineer, and the Imagineering Glossary and list of disciplines. 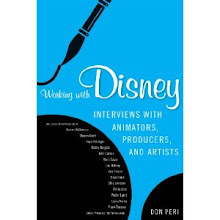 DG: Did the author interview many of the Imagineers to write this book? 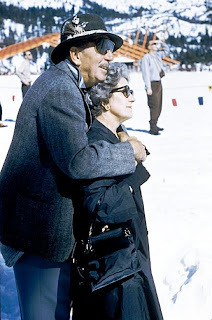 MM: I talked to probably 100 people, mostly at the California headquarters, and covered the major disciplines and parks in this way; emailed a bunch more; solicited photos from the entire Imagineering cast via human resources, and even talked to the summer interns from 2008. Marty and I developed the list of “must talk to’s” and then we added from there, and I followed stories. 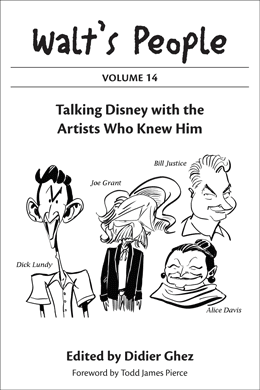 The editorial board suggested topics and people to talk to and checked the work; text was contributed by Imagineers Kevin Rafferty, David Fisher, Jason Surrell, and Alex Wright; the art librarians worked on the illustrations. 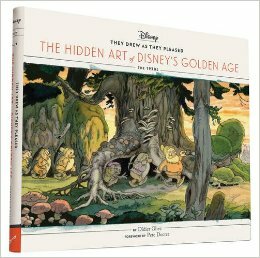 DG: What are the most surprising discoveries that await Disney history enthusiasts in this book (both from an illustration and text perspective)? MM: Fun “special effects” in the book like a layered Castle, a fold-out storyboard, and booklet of artwork specially chosen from the Imagineering Art Library. They are unique and help to tell the story of how Imagineers work. 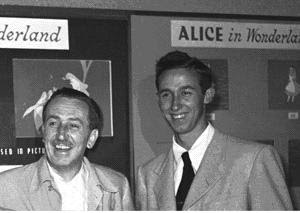 DG: Disney park historians David Mumford and Bruce Gordon passed away and left a huge gap in the field of Disney history. Who is taking the relay today from your point of view? DG: Are you seriously working on your long-awaited autobiography? When will it be released? MS: Unfortunately, I have been very slow in moving this project, but I will lose my excuses when my great new office (attached to his home) is completed in mid-April. However, I have been extremely busy because I have not learned to say “no”, and also I am doing my own e-mail now (typing for the first time in 30 years – you can see some of the issues in my formatting!). I have been making many speeches, writing for a number of publications, leading our Ryman Arts non-profit arts teaching foundation into its 20th year of serving talented high school artists in Southern California, serving on the Board of Directors of the UCLA Alumni Association and the newly formed Disneyland Alumni Club, etc. Very soon I will engage an agent to seek a publisher with an appropriate advance. (I can show three or four chapters I’ve written, and basically have a pretty good outline of the rest). The very secret autobiography of Roy Williams? We know that Roy Williams released two collections of funny sketches while at Disney, one in 1949 called How's the Back View Coming Along? 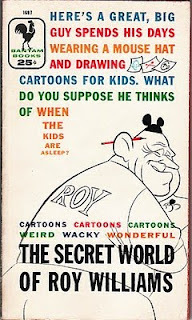 and another one in 1957, The Secret World of Roy Williams. But did he ever write an autobiography? 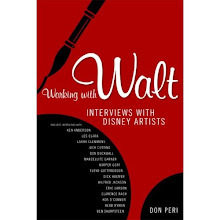 According to one reader of the blog, he did and there was a copy available in one of the internal libraries of Walt Disney World. Apparently the text contained some racy material. Do any of you know about this book? Does it really exist? Can you tell us anything about it? I will be in London on Monday and Tuesday. The blog will be updated again on Wednesday. This just in. 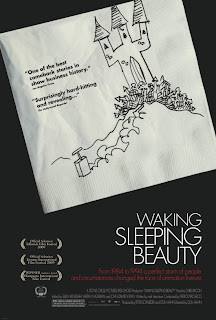 You can also discover some great trailers of the movie by checking this link. 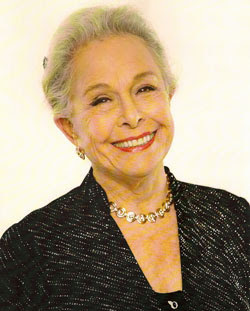 with limited releases in New York, Los Angeles, Chicago and San Francisco on March 26, 2010.
and winner of the Audience Award at the Hamptons International Film Festival. 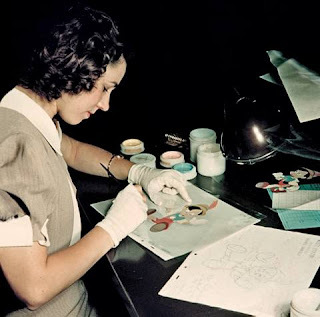 extraordinary creative periods in animation history. Once more here is a truly exceptional find from Are Myklebust! 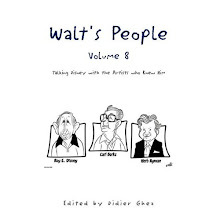 [A Chinese comic strip with Walt Disney figures, printed in Shanghai c. 1947. 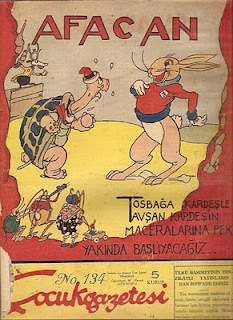 Tang Laoya (Donald Duck) and Mi Laoshu (Mickey Mouse) are selling the newspaper Zhengqi ribao (Latest events of today). From the Oriental Collection at The Royal Library in Copenhagen, Denmark. I will be in Barcelona tomorrow. The blog will be updated again on Wednesday. Spanning 1934 to 1942, the Helen R. Durney Papers comprises correspondence, artwork, writings, and memorabilia of the American illustrator. Correspondence consists of miscellaneous correspondence from 1939. 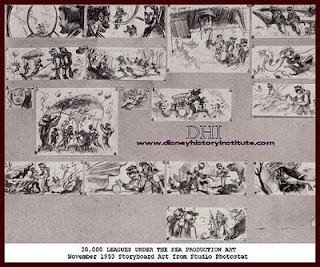 Artwork contains Dumbo material as well as sketches for other projects including the Percy Hughes School murals. 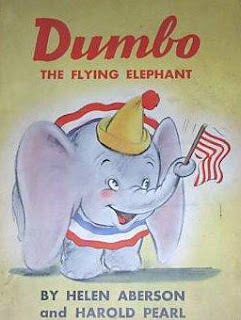 Writings contains articles, a list of illustrations and promotional ideas for "Dumbo," copies of Durney's column for Design Magazine, and a transcript of her radio program over station WFBL of Syracuse. 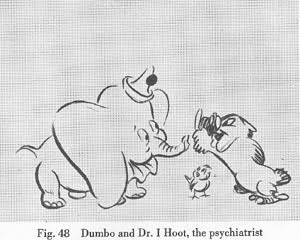 Memorabilia contains galley proofs for two "Dumbo" books, including the original Roll-a-Book version, and one published copy of "Walt Disney's Dumbo of the Circus," along with articles, clippings, an exhibit catalog, and some artwork by others. Do any of you live close to Syracuse? Would you be willing to try and visit Syracus University to get to the bottom of this? 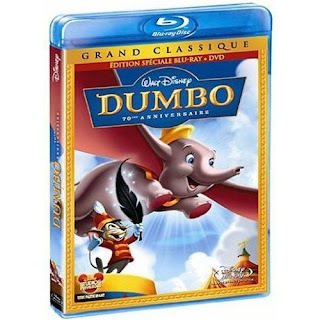 Speaking of Dumbo, interestingly enough, while the new DVD and Blu-Ray versions of the movie will only be released in February 2011 in the US, it looks as if they will be available this year in Europe. On February 17 in France and in March in the UK and Spain! Do not miss today this great essay by Michael Barrier. I am ashamed to say that I just discovered Dave De Caro's excellent blog. 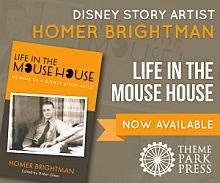 Some really cool stuff regarding the history of the parks in there! The latest issue of the magazine Twenty-Three has just been released.